And Thanksgiving, black Friday, saner Saturday, and chartreuse Tuesday. We shopped on all of those days, except Thanksgiving. And they were all interesting experiences, but none of them were overly crowded. Tuesday was a search for pants, in a very empty store. No line. Open dressing rooms. A low stress outing, as clothing shopping goes for us. On black Friday we went in search for a new cover for our futon. The last cover was probably 20 years old. The store we bought it at has been gone for a while. There are really only a few futon stores around, so our choices were limited. Even more because we were determined to avoid the mall areas. 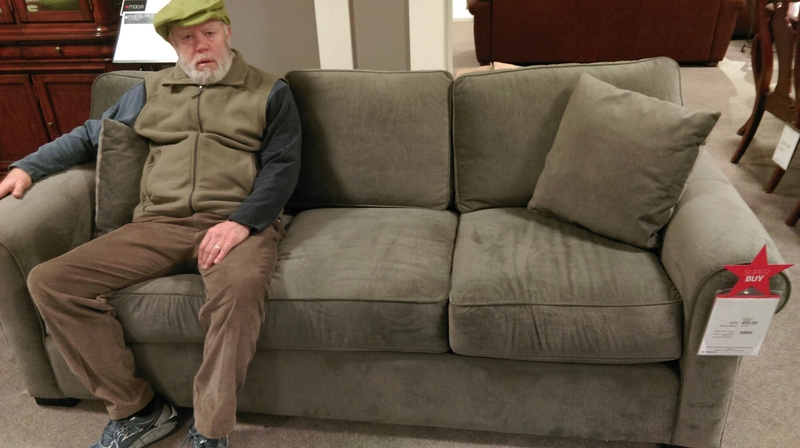 Next up was couch shopping, which may seem odd since we were updating our current “couch” with a new look. We decided since the kids both have college degrees that we could move past our college furniture. That and the futon seems to give my back fits. There will be a furniture merry-go-round as the couch boots the futon, the futon boots the trundle beds out of the study, and the trundles find a new home. We even ventured to Costco. It was as empty as I have ever seen a Costco. Although we did get behind a couple at the checkout who split their haul into two of three parts and kept trying different gift cards to pay for them. I think the key to a laid back shopping experience on black Friday is to go for items that are not on most folks Christmas lists. The couch shopping continued into Saturday – at the mall, which was pretty empty. We did finally make a choice after sitting on more than I would have thought possible. Our week has not been all about acquisitions. 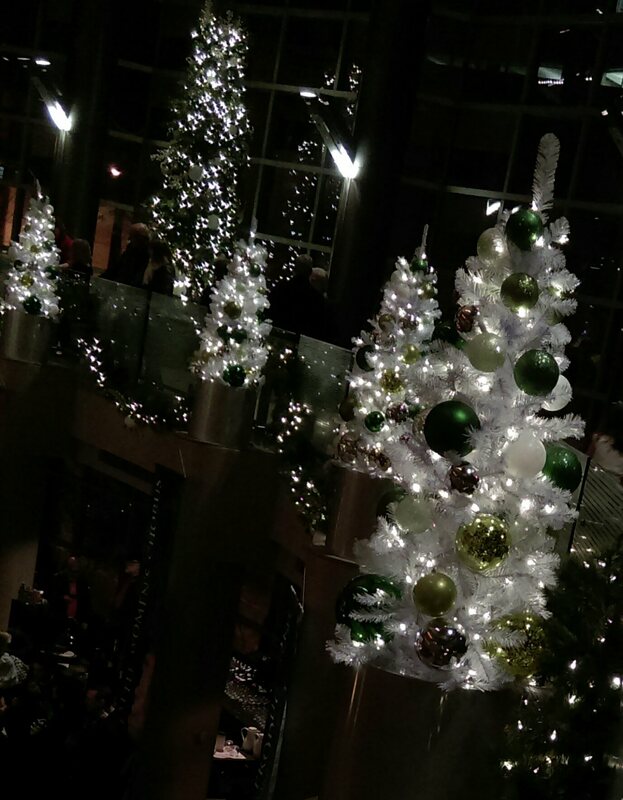 On Wednesday night we went to the theater and saw a fine production of The Sound of Music. Thursday we got to enjoy a great turkey dinner with friends. And tonight we saw the Seattle Men’s Chorus with Titus Burgess. A fine show. I really enjoyed their send up of Freddy Mercury in Bohemian Rhapsody, with lyrics featuring Santa instead of Mama. I think you would have to hear it to fully appreciate the result. All for now. I need to squeeze a bit more out of November before it’s over. This entry was posted on November 29, 2015 at 2:04 am and is filed under Uncategorized. You can follow any responses to this entry through the RSS 2.0 feed. You can skip to the end and leave a response. Pinging is currently not allowed. I like that couch that Carl is sitting on. I will need to replace my loveseat when Alison’s cat moves out with her. Even with soft claws on, she’s managed to do some damage. 😦 I hate shopping and crowds, but your excursions sound fairly low stress. The store has an option to get a program where they will come and clean stains and make repairs to the couch, but I think it excluded pet scratches. Our cats were pretty good, although the water bed got punctured at least once. I would think that puncturing a water bed once would keep the cat who did it away!